Miss Juliette made her family wait 8 days past her due date before making her entrance into the world. She was worth the wait, though, with all her precious rolls and adorable cheeks. Her big sister is already in love and I can tell the family feels complete now that their newest little member has arrived. 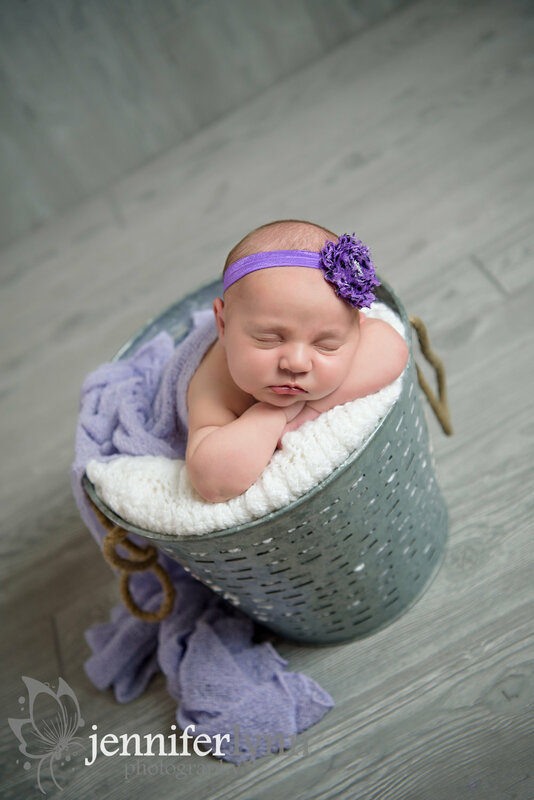 Mom requested purples, greys, and whites for Juliette's session, as well as the moon prop. I just adore how the moon photos turned out with big sister - I already made one pass on narrowing down gallery images and am struggling to go farther! There's something magical about two sisters being photographed for the first time. Maybe it's because I know from experience how my own daughter has constantly asked for a sister, despite having three brothers! I hope the magic continues for a long time and the girls grow to be great friends. Juliette almost made the last part of her session an "awake" time, but I was so fortunate that after taking a nursing break, she rocked back to sleep for me. She even made it into my bucket setup, which requires babies to be truly asleep. In fact, I think she actually enjoyed the bucket more than any other prop or blanket I had prepared for her! 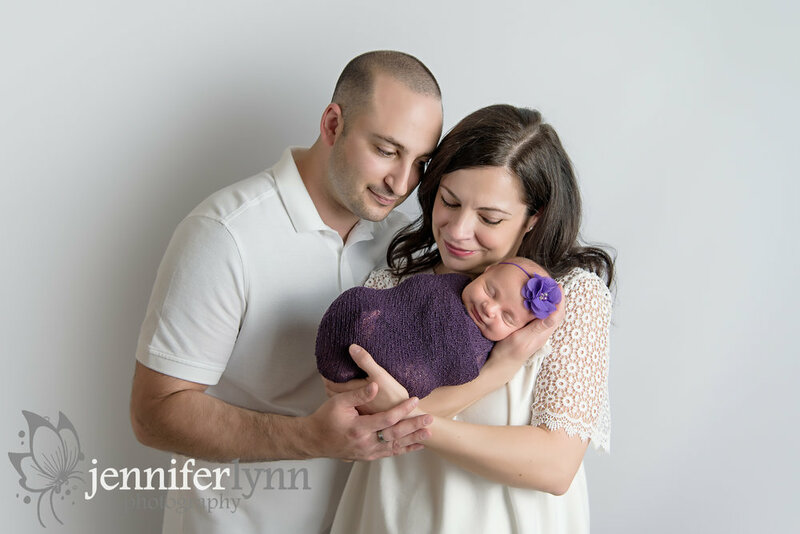 I felt truly honored to learn this wonderful family drove from across Denver for Juliette's newborn session. What a privilege to preserve these special memories for them! Enjoy those fleeting newborn moments and snuggles despite the sleepless nights and I look forward to delivering your gallery soon!